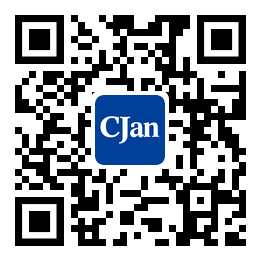 ﻿ The Suggestions of Rubber Tubing Storage (I) - CJan Fluid Technology Co., Ltd. According to the natural properties of rubber, the physical properties and performance of all rubber products will be changed. This type of changing is usually taken over time, it depends on the type of rubber which is used. But it can also be accelerated by a combination of several factors or several factors. Other materials used to strengthen rubber tubing may also be adversely affected by inappropriate storage conditions. The following recommendations include a series of preventive measures to minimize the appearance of aging in storage. 1. Storage time. The system of rotation system should be adopted to shorten the storage time of rubber tubing as much as possible. If you can't avoid long storage and failed to follow the following recommendations, you should thoroughly inspect the rubber tubing before use. 2. Physical storage condition. The storage of rubber tubing must avoid mechanical pressure, including transition stretching, pressing or deformation, avoiding contact with sharp or sharp objects. The rubber tubing is first stored on a suitable scaffold or placed on a dry ground. The rubber tubing must be stored horizontally and the rubber tubing should not be stacked. If the stack cannot be avoided, the stack height should not permanently deform the rubber tubing underneath. As a rule, we should try to avoid the rubber tubing around the column or the hook. If the rubber tubing is delivered directly, it is recommended to store horizontally instead of bending.